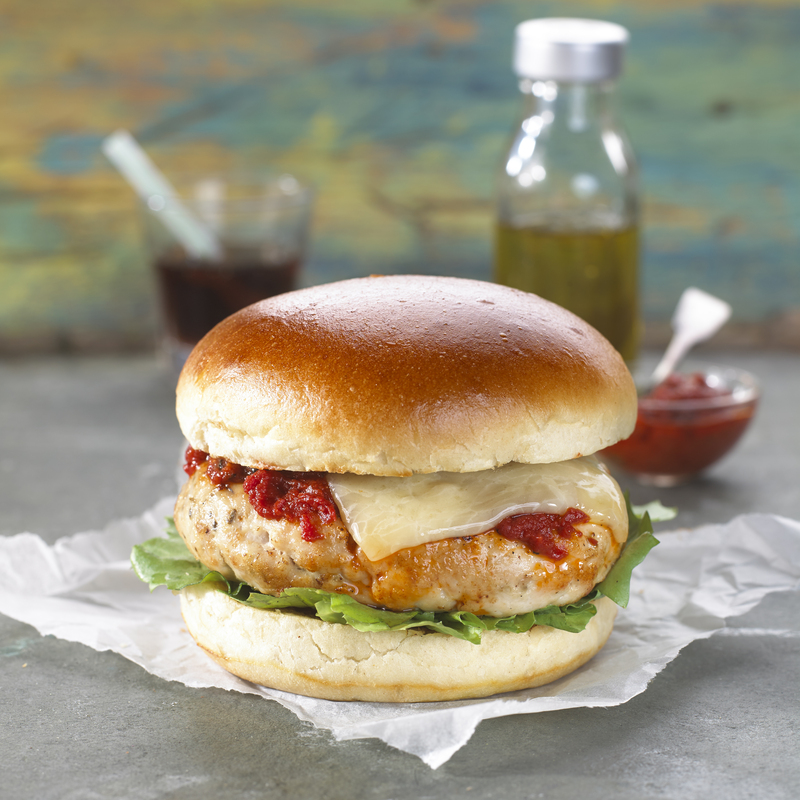 Italian Turkey Burgers | Flavor Your Life. In a large bowl, combine turkey, garlic, oregano, salt, pepper, and 2 Tbsp of the extra virgin olive oil. Mix together with a wooden spoon. Divide mixture into four and form into equal size patties. Place patties on a large baking sheet and bake for 15 minutes until cooked. Meanwhile, brush the hamburger buns with the remainder of the olive oil. Place buns on a baking sheet and toast until golden. Place the burgers on the bottoms of the toasted buns, spoon the marinara sauce on, and top with a slice of provolone cheese. Broil to melt the cheese. Put the lids on the burgers and serve warm.